At times my creativity begins to churn. I will walk from room to room and look for ways to make a change without having to alter too much. This leads me to minimalist decorating. It offers a simple yet elegant styling effect. Some trademarks of the minimalist theme are simplistic colors, clean lines and smooth textures. One way to accentuate this approach is through poster wall art. 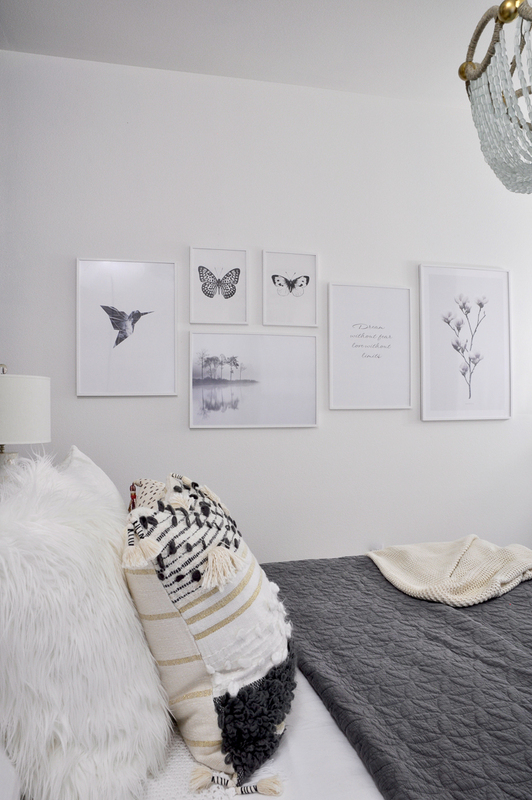 I’ve partnered with Desenio to illustrate how you can incorporate wall art, specifically poster art, into your own decorating theme. The most effective art walls I have seen feature one color as the foundation for the look. It allows the wall to become a bit more interesting while having the appearance of belonging together. 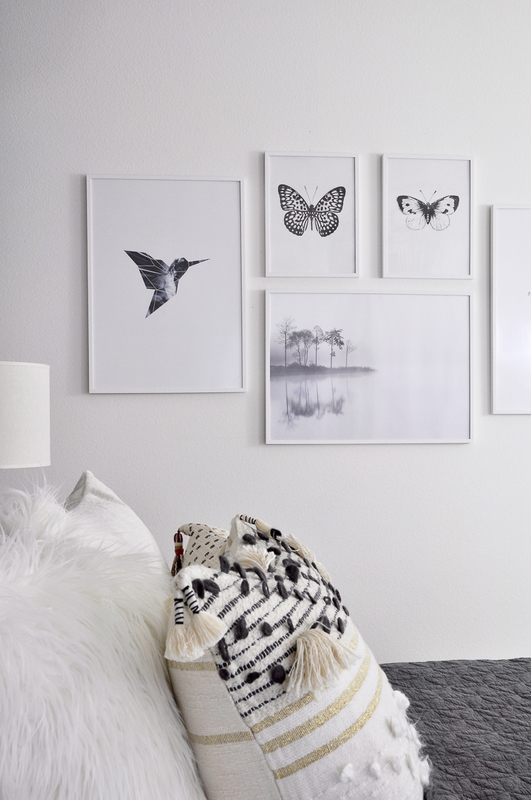 Want to easily create a minimalist, modern art wall with poster art? Be sure and use matching frames on all of the pieces. The look will be clean, sharp and depict a modern flair. Are you concerned about featuring bright colors within your wall art? Revert to black and white choices. Once the prints are placed together they will seamlessly work together. Think about where on the wall you are going to place your art. Keep in mind that by simply keeping the bottoms of the frames square and parallel to the flooring, you can vary the height and placement of the collection. Variety here is a good thing. Be sure and start at the bottom and work your way up so as not to miss the mark here. I’ve said this many times before. When you come across a piece that speaks to you, buy it. Art is a personal choice and it should reverberate within you. You will thank yourself after, even if it is different than your theme or color scheme you are going for. Most importantly, make sure the wall reflects your personality. 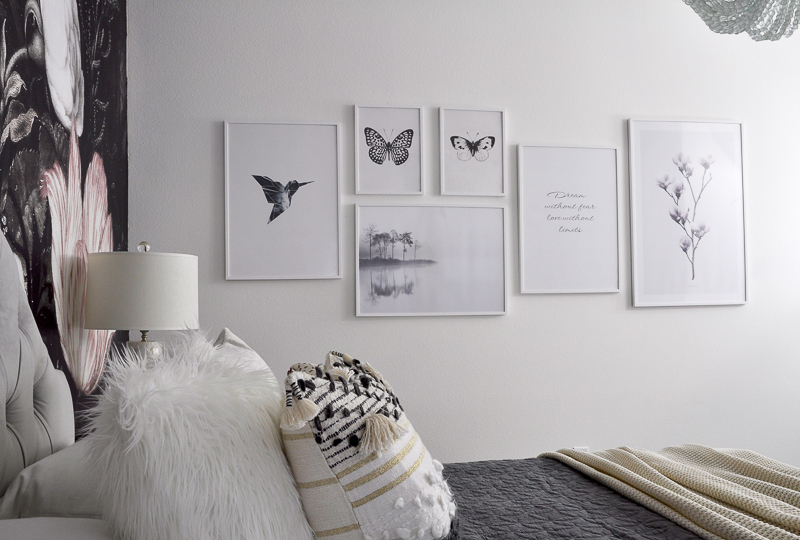 Poster wall art is a fun way to add interest and intrigue to your design theme within your home. 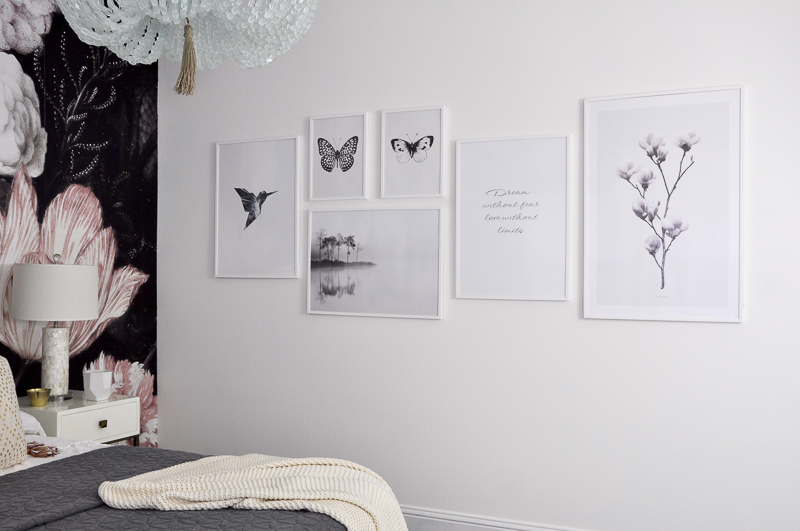 Pick a wall in your home office, the guest bedroom, or your foyer. Mix and match frames of various geometric shapes, focusing on squares and rectangles. This will give you flexibility as to what you choose to display at any given time. Thank you for visiting and happy decorating! Thank you Bree! Gotta love white frames! 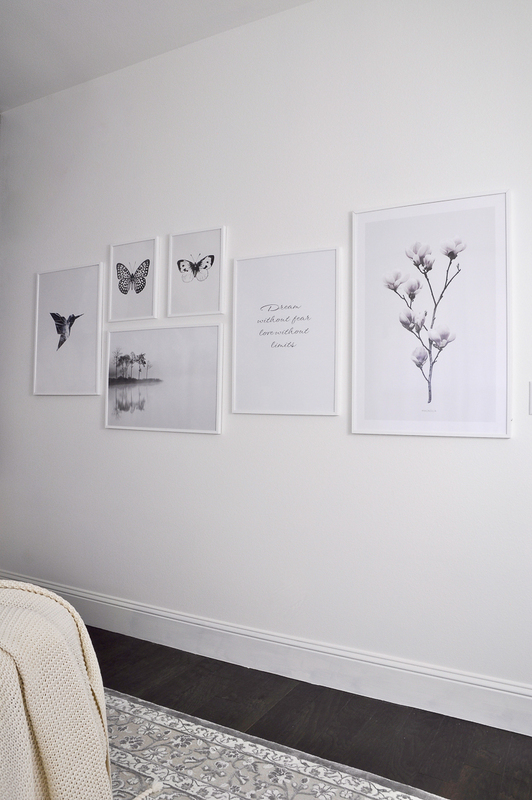 These posters are beautiful and they fill a house with positive energy. I loved your choice. I’m always looking for cool new ideas for poster wall art. Thank you for sharing this.